HubSpot, the world’s leading service provider of marketing software, just launched an integrated Customer Relations Management (CRM) suite. Yes, you heard that right, a free CRM suite! (Cue clapping and whistling.) While it is currently launched for HubSpot customers only, there is a rollout scheduled that will offer the new CRM program as a standalone tool to sales teams who are not using HubSpot (yet). So what does a new free CRM mean for businesses in Lansing, Michigan? It means a smooth and efficient transition into digitally managing your customer relationships. If your small sales team isn’t quite ready for a sophisticated system such as Salesforce.com, or you are looking into just dipping a toe into CRM systems (as opposed to, say, a sticky-note-on-a-folder method of managing prospects), this product is definitely one you should adopt. 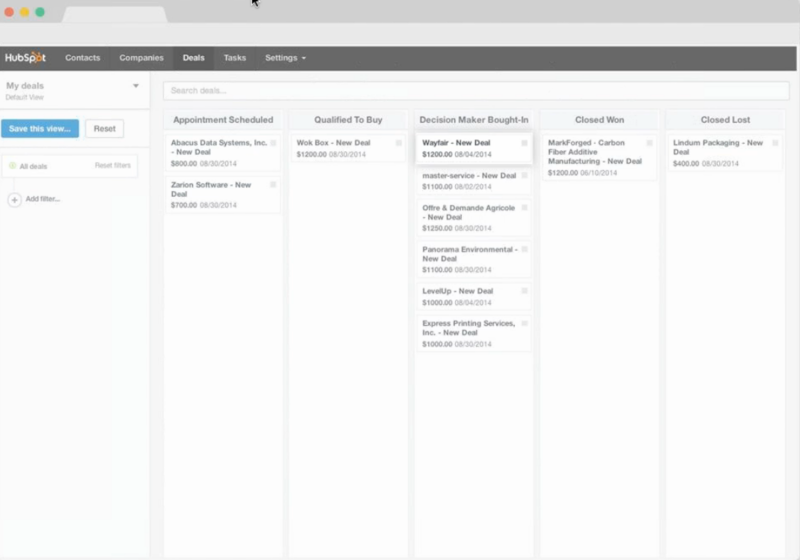 Experienced sales teams that are paired with marketing teams using HubSpot will love the new HubSpot CRM. It’s a beautiful integration into an extremely popular marketing automation program. Aligning sales and marketing efforts isn’t a just fantasy; it can actually happen (smoothly) using HubSpot CRM’s suite of tools. Let’s dive into the HubSpot CRM to see what is under the hood, shall we? The beauty of this new system is in its seamless integration with HubSpot. However, sales teams not currently using HubSpot will benefit from the tool’s counterpart, Sidekick, a browser extension that provides your sales team with instant alerts in a sidebar of their Google Gmail interface. Sales teams will be able to see recent contacts with a prospect, have all their contact data at their fingertips and see the integrated HubSpot interactions. 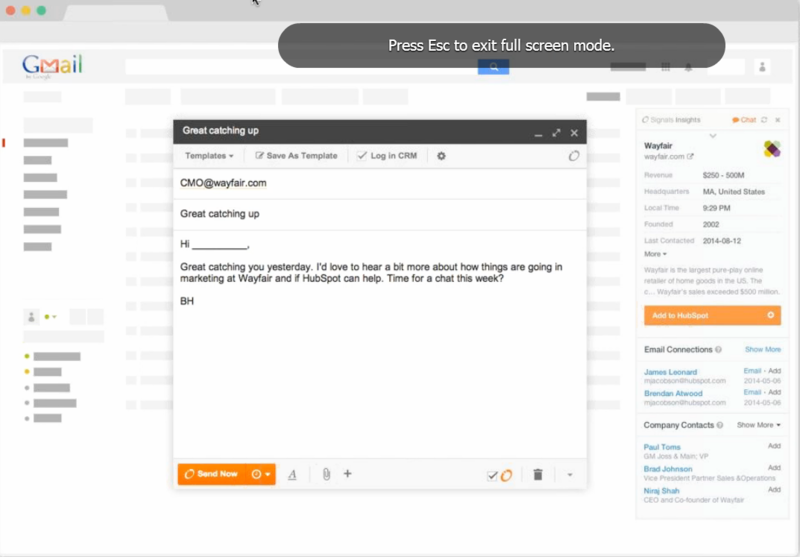 If you’re a Gmail aficionado, the HubSpot CRM integrates seamlessly using the Sidekick app. When you are sending an e-mail to a prospect, the Sidekick tab appears on the right side of your screen. It pulls up relevant information from the CRM system and from the HubSpot contact record (if you are using HubSpot), creating a profile. Just imagine. You will know at a glance when the last contact with this prospect was, what activities or actions they’ve taken on your website, and precisely where they sit in the buying cycle. Plus, you will instantly be alerted when they revisit your website, so you can reach out in real time! Need even more information at your fingertips? Now that you’re on a first-name basis with your prospect, how about offering them a deal? (Yes, you can do this too.) Add a new deal to the CRM by assigning it a name, an owner, stage, amount, close date and type. 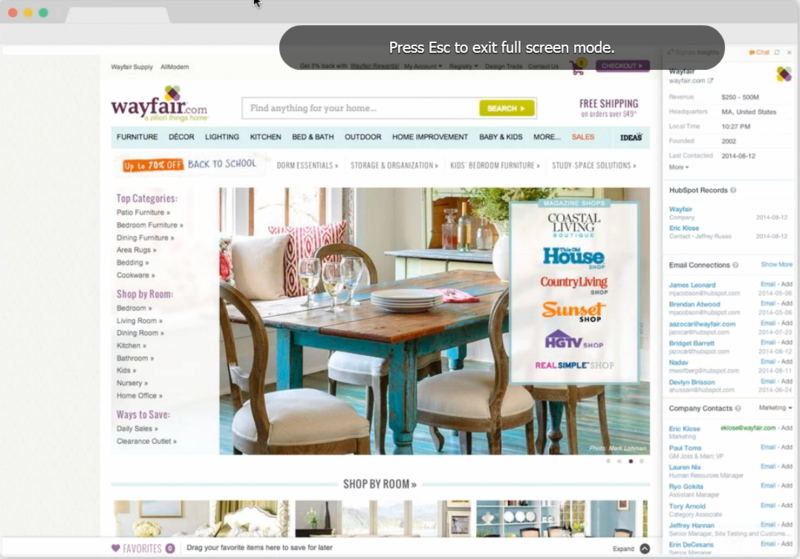 You’ll be able to see all deals within a viewing option of your choice. When the deals are closed, head on over to the sales dashboard to take a look at your quota and monthly forecast. It’s all there – we promise! Now that you have seen some of the new and exciting features that HubSpot’s CRM has to offer, you might be asking yourself: “how has this new tool never been integrated into the system before?” We can’t imagine our lives without it already. Whether it is the easy access to client contact information, the up-to-the-minute updates on company news, or ability to modify and organize deals, HubSpot’s CRM has something to make every sales team’s job a little easier.